Women have increased their numbers in professions previously dominated by men, including law, business, medicine, and many STEM fields. However, the number of women in engineering in the US has not risen since the early 2000s. The US Bureau of Labor Statistics estimates a large need for engineers and computer-related employees over the next 10 years due to job growth and replacement of those leaving the workforce. To meet this demand for new engineers and computer/information scientists, it is necessary for our nation to promote these professions among underrepresented groups, especially women. An initiative at Tesla hopes to help. Photo of part of an internal Tesla newsletter. 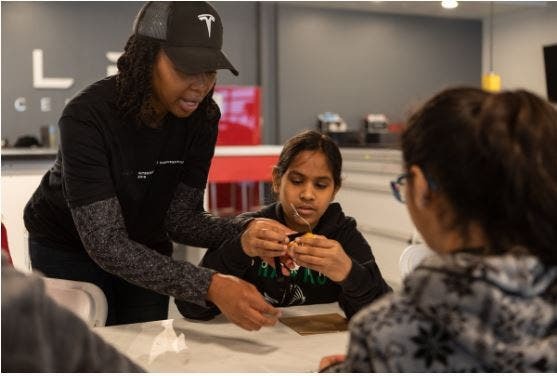 Recently, Tesla hosted about 200 middle school students at 8 of its facilities around the US for an event called “Introduce a Girl to Engineering Day.” 80 or so Tesla employees volunteered to lead the events, which were held in California and Nevada. 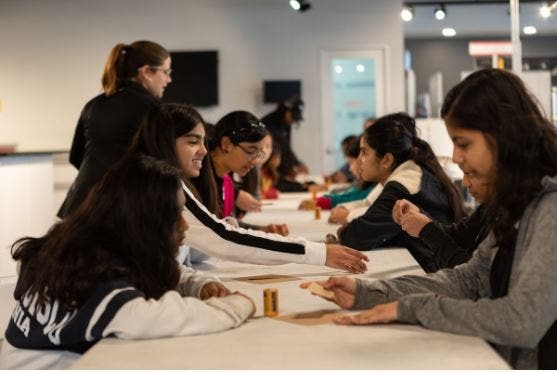 The likely future female engineers fashioned simple motors from batteries and wire and built a tiny balloon-propelled car, offering glimpses into real-life applications of science and math principles. This was only one part of Tesla’s commitment of $37 million in education in Nevada. 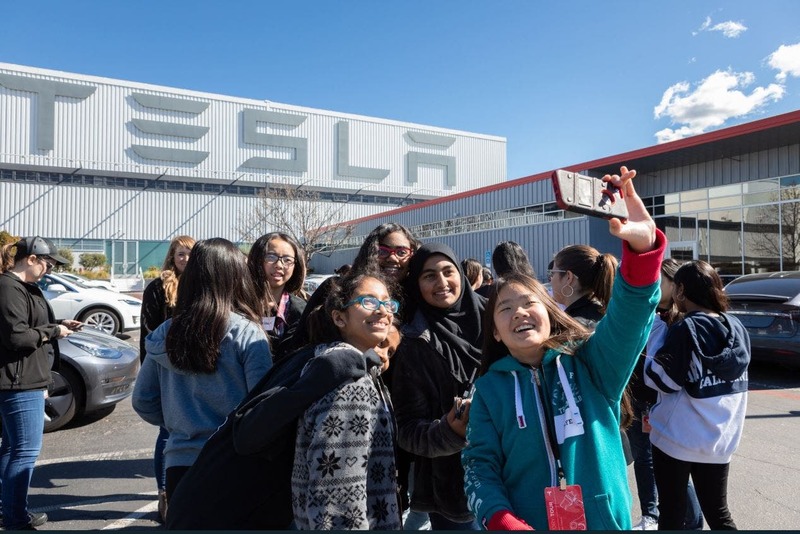 “With females making up only a fraction of the engineering workforce in the US, Tesla is committed to increasing female students’ exposure to manufacturing and engineering,” a Tesla spokesperson said. 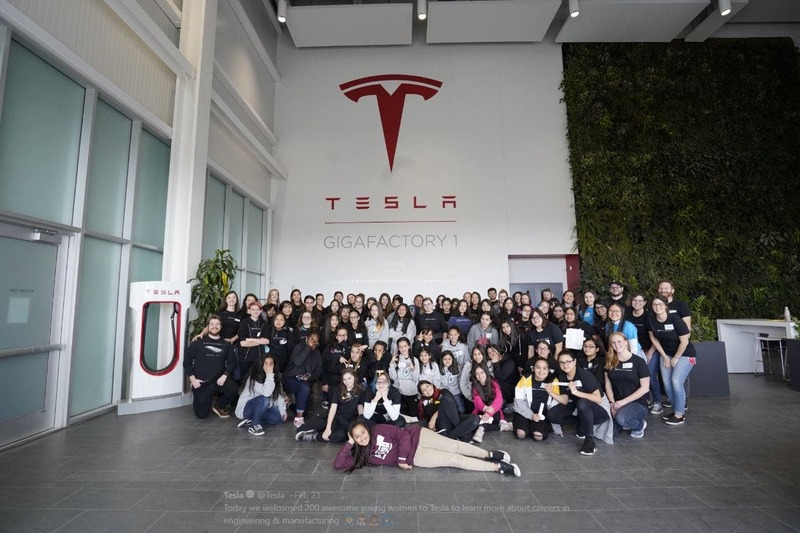 At Tesla Gigafactory 1, the nonprofit group Envirolution co-sponsored the event with Tesla, recruiting and coordinating young female students for a battery manufacturing operations tour. Without intervention strategies like this Tesla introductory engineering day, the current demand for technical talent combined with the projected increase in the need for engineers will result in a significant shortage of skilled US labor. Increasing the confidence and persistence of women in engineering at all stages of their careers is imperative to solving this talent shortage. Industry growth presents the major challenge of educating future renewable energy and technology professionals. There is an essential need to build a conduit from the classroom to worksite. Even college students have a limited understanding of how to translate engineering theory into actual field practice. 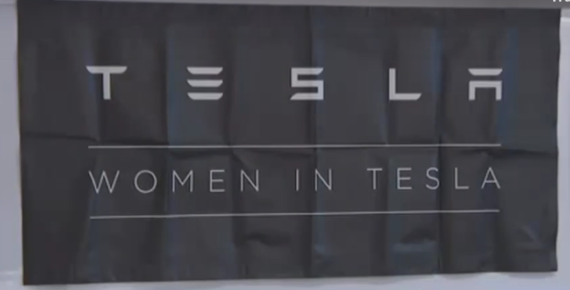 While a variety of solutions are necessary to address the growing labor needs in the engineering industry and to attract and retain women in the profession, professional role models like these Tesla engineers who offer their personal insights and industry experience narratives can offset those gaps and create a robust and diverse engineering workforce. 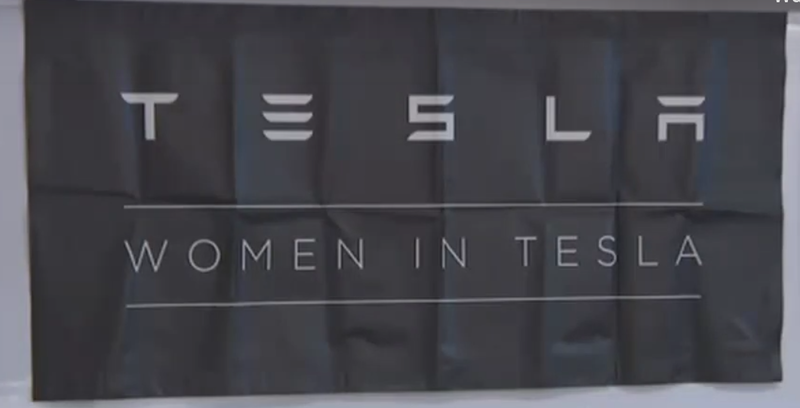 Why Aren’t There More Female Engineers — at Tesla and Elsewhere? Today, the digital transformation provides new avenues for the economic empowerment of women and can contribute to greater gender equality. Data from the Organization for Economic Cooperation and Development show that inventions arising out of mixed teams are more economically valuable and have higher impact than those in which only men are involved. According to the US Department of Labor, Bureau of Labor Statistics, job growth in the engineering industry will yield over 500,000 unfilled positions by 2024. 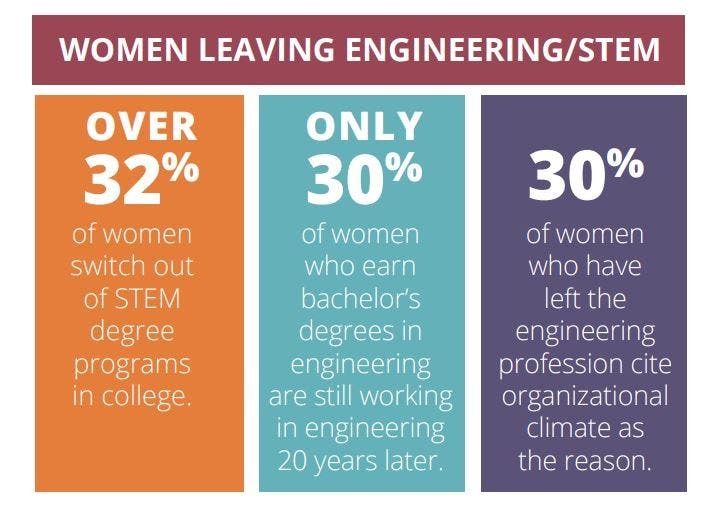 Yet the current pipeline of engineering talent does not include the majority of college graduates: women represent over 57% of college graduates but only 22% of the engineers entering the workforce. Within the workforce, only 14% of engineers are women. Coordinated policy action can raise awareness. It can tackle gender stereotypes and enable enhanced, safer, and more affordable access to digital tools for novice engineers. It can provide stronger cooperation across stakeholders to remove barriers to girls’ and women’s full participation in the STEM world. Digital technologies provide new opportunities to make progress, but technological fixes cannot address the underlying structural problems that drive the digital gender divide. “It’s a systemic problem. Girls from a young age experience microaggressions. For example, asking a boy in the class to try the fix the VCR or fathers doing some things with their sons but not with their daughters. Little things like that discourage a good amount of the population [from pursuing engineering],” said Kristen Barclay, a Tesla engineer, in a 2018 interview. “Start early, because the world will slowly crush you out of it if you don’t find that interest in yourself early,” Barclay advised future female engineers. Fewer females than males that earn an engineering degree end up working in the engineering profession, and more females than males leave the profession over time. Véna Arielle Ahouansou, whose Kea Medical company employs 15 people, said men still fail to see the strength of women in technology. “They need to change their mind-set that science is just for them,” she said. Research shows there are about 2.5 million women in the US with STEM degrees. Of this number, roughly 800,000 women (32%) have engineering and computer science degrees and 216,000 (27%) have left their technical fields. Approximately 54,000 (25%) of the women who left their technical careers did so to care for their families. It is estimated that the pool of technical women who are on career breaks at any given time is between 54,000 and 216,000. A cultural shift is slowly underway in the STEM world in which women and other underrepresented groups are beginning to find voice. 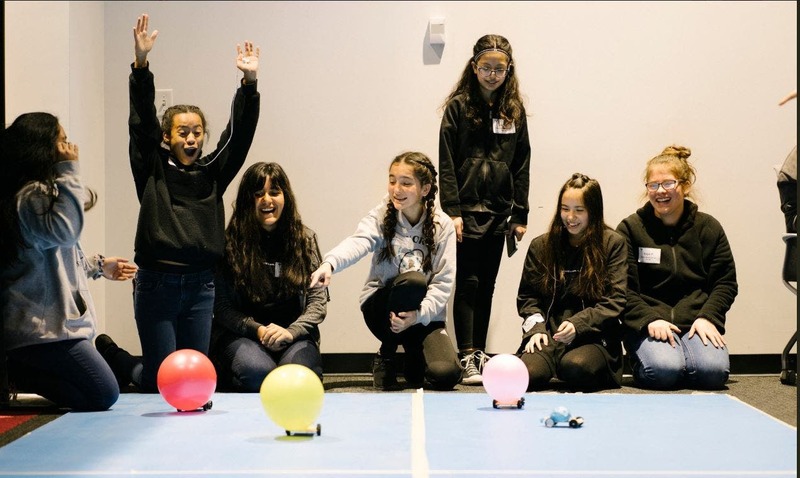 Programs like the “Introduce a Girl to Engineering Day” at Tesla highlight one of many mechanisms to strengthen overarching talent pathways.